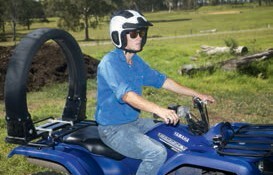 Quad bikes are the leading cause of on-farm fatalities and serious injuries. 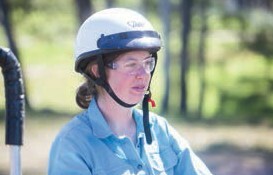 Around 30 per cent of quad bike fatalities involve head injuries while 40 per cent of serious injuries involve a traumatic brain injury. 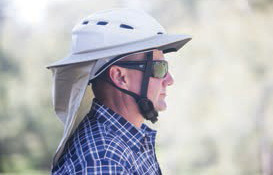 There are a range of helmets suitable for on-farm use that are lightweight, ventilated, and provide sun protection. 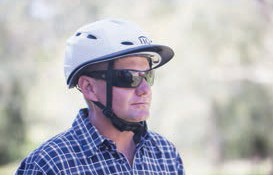 * Helmets compliant with the New Zealand Standard 8600:2002 are available for use on quad bikes at low speed (not exceeding 30 kilometres per hour). 1 Based on research conducted by University of New South Wales Transport and Road Safety, 2015.